This online auction features furniture such as Lotte lamp, teak king-sized bed, and Baronet maple dresser, art such as stained glass, signed framed prints, and acrylic on canvas, electronics such as LG 50” TV, LG Sound Plate and BluRay player, costume jewelry, sterling coffee set, wooden rocking horse, Raleigh bicycles, Weber BBQ, metal patio set, Snap On torque wrench, photography equipment, glassware, pottery, barware, planters and much more! This online auction features GLASS/CRYSTAL: Many signed Fenton pieces including two lamps; depression, carnival, vaseline, Bohemian lead; Cross and Olive; vintage blue cut to clear; coloured - blue, pink, green, amber, milk; opalescent footed bowl and more! CHINA: Tuscan "Louise"; Royal Strafford "Golden Bramble"; and Limoges dish sets; Carlton ware; tea cup sets and more! FURNITURE: Krug dining room suite - 6 needlepoint seat chairs, table, server and china cabinet; TWO BEDROOM SUITES - Beach double bed, dresser with mirror, chest of drawers with built in cedar chest; Strathroy double bed, dresser with mirror and desk. BIRDS EYE MAPLE DISPLAY CABINET; unusual jeweller's desk and a LAB table. ART: Mary Dawn Roberts floral prints; many needlepoint; watercolour. COLLECTIBLE: China florals; Goebel; Royal Doulton figurines; miniatures; wooden items; brass/pewter; vintage games; vintage bottles/crockery. JEWELRY: Costume. Singer in large cabinet sewing machine. Kenmore chest freezer. YARD AND GARDEN: Snapper Briggs and Stratton engine lawn mower plus yard decor, tools and supplies and much more! This online auction features JEWELRY: 40 marquis cut emeralds, 40 round white sapphires on a 16" 14K gold chain, diamond and sapphire 14K white gold ring. ART: 8 limited edition Robert Bateman signed prints and books, as well as 2 A J Casson, Tom Thompson, F. Carmichael, Bev Doolittle and more! ANTIQUE: Books, kitchen utensil. VINTAGE: Viewmaster; mini 16 mm camera c 1949 made by Univeral Camera; golf-themed clock; Furniture - Wooden lecture, solid walnut side table, oak round table/stand with metal base. COLLECTIBLE: Husky toy cars; glass paperweights, Fire King/Pyrex cups and saucers; Emmett Kelly Jr clown figurines; LP's; stamps, character jugs. ELECTRONIC: Innovative portable 3-speed turntable, Bose speakers plus more stereo components; Samsung 32" and 50", LG plasma 42" TVs. FURNITURE: Two tables and chairs; several pieces light wood end tables, dresser; display cabinets. HANDMADE: Hooked rugs and afghans. GOLF and much more! This online auction features vintage and antique furniture, mantle clocks, rugs, antique French sculptures, porcelain items, kitchen items, art, vintage oil lamp, couch, dining room hutch, dining room chairs and table, silverplate, brass items, Alfred Meakin jug and bowl set, phones, Whirlpool air conditioner, piecrust side table, large ceramic cat, hanging lamp, bar fridge, power tools like a dust collector, belt sander, scroll saw, drill press and belt sander, cabinet and much more! This online auction features ANTIQUE: Canadian pine and oak pieces; 1910's oak grandfather clock - Divina Gong by Mauthe, Germany; Childs sleigh; doll clothing; books; Staffordshire wash basin set; hardware. VINTAGE: Hand-beaded 1920's dress; wooden rear luggage carrier for (possibly) model A car; Mohawk console AM radio/shortwave; Afghan-made area rugs; cobblers bench style coffee table; kitchen. TOOLS: Contents of shop - Delta 10" construction saw and accessories, Porter-Cable router, tool chests including a vintage storage cupboard used as a worktable, formerly in a hardware store, hand tools and more power tools. 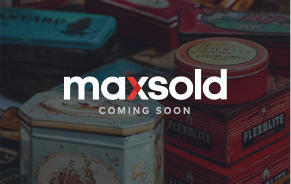 COLLECTIBLE: Plates; wooden boxes; crocks; copper/pewter; oil lamps; LP's/45's; canning jars; coins/currency. ELECTRONICS. CHINA: 8 placesettings JM Meakin "Nordic" dishes; tea cup sets. GLASS/CRYSTAL: 10 ruby red Cristal D'arques wine glasses plus etched/cut/pressed; antique blown glass creamer, salt n' pepper; art glass. ART: Cast iron statue, framed Chinese embroidery, Deco stained glass panels, framed/unframed limited edition/signed wolf prints by various artists. APPLIANCES: Danby upright freezer; 2 Maytag AC window units and much more! This online auction features a 2005 Dodge Ram 1500 truck. ANTIQUE: 1890's Pullman train car copper tub with wooden surround; washstand. POWER TOOLS/SHOP TOOLS. VINTAGE FURNITURE: Dining room, waterfall cabinet, primative cabinet, drop front desk and more! YARD AND GARDEN: Wood chipper, Honda rototiller, Troybilt trailblazer, rain barrels, concrete sundial, fountain, statue. VINTAGE: Cookie jar and bar shaker, bar glasses; fire extinguisher and more! WESTERN HORSE TACK. CHINA: FRAUREUTE Dishes. COLLECTIBLE: Beanie Babies; Blue Mountain Pottery; model trucks; copper wall art. Danby bar fridge and much more! This online auction features outdoor furniture, ladders, bicycles, tools, power washer, barbecue, statues, exercise equipment, foosball table, wall art, security system, guitar, lamps, books, shelving and much more. This online auction features a large quantity of new-in-box and to-be-assembled furniture, patio furniture and decor, vintage Huffy and Schwinn bicycles, CCM and Nakamura bicycles, new Shelton and Delta faucets, vintage dolls, Royal Doulton figurines, exercise equipment, pet accessories, tools, art, plant grow stand, Dee Zee tailgate mat, Brother sewing machine, DVDs, books, lawn mower and much more! This online auction features Sterling Flatware, Teak Furniture, LG Washer and Dryer. CHINA: Society dish set; Bunnykins; Sadler tea set; Copenhagen blue and white porcelain plates. Rex Cotton watercolour. COLLECTIBLE: Sheaffer pin, ads and accessories; harness brass; KLM BOLS DELFTS Blauw houses collection and much more! Easy process, fun and economical. Pick up was easy however I was early and had a small order. 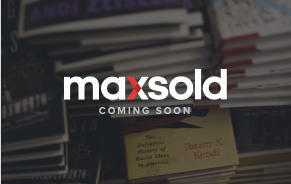 I checked off 'yes' to recommending MaxSold (because it is my new addiction! 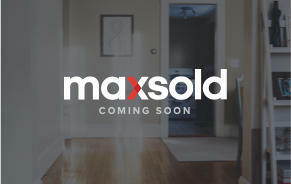 ), but I'm not sure I'd want to recommend MaxSold if I thought my friends or family might out bid me!! (Just kidding!) The ladies I met at the auction were all lovely and very interested in 'doing the job' well. They answered my questions and were very pleasant. Hope to meet them again soon! Love the experience and the professional way the items are presented and the pick ups are always smooth and you are always greeted pleasantly. Have participated in several MaxSold auctions and love the excitement of bidding and winning the things I want, and even some things I will pass on to others. Really like the way I'm greeted at the pickup. Staff know me now and cal me by name. The items I purchase have always been as described and photographed. It's a no brainer way of buying, and in the future, selling! Great value on both ends and the work is done by others. Can't beat that! Smooth easy, no hassle way to auction purchase. The service and the outcome far exceeded my expectations. Everything was handled for us professionally and we literally sat back and watched the auction. The process couldn't be easier. 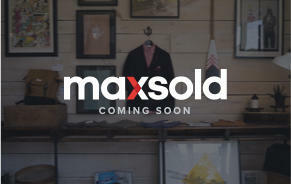 Will use MaxSold again and again. This not only refers to the last person I talked with but all the people with whom I have had conversations. They are very patient, understanding and helpful. Well done. At first, I was concerned about how the process would go but once I meet Kelly and Joy, I knew that I was in good hands. They explained every thing clearly and were very supportive about the transaction from start to finish. I'd do the auction all over again! As I wrote before, there are not enough words to describe how well we were looked after by Kelley. She deserves much praise for her expertise, hard work, and attention to every detail. Many thanks for all her efforts. Kelley has been an excellent rep. She goes out of her way to explain things which makes all the difference to us. We really appreciate her efforts. Kelley and her team have done an awesome job on this current client's home and on past sales. So many times there just is not enough stuff for a sale but finally got another one! 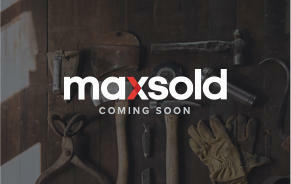 More to come with the spring market ahead. 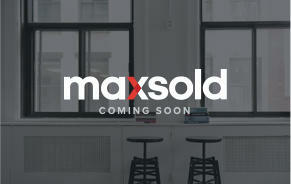 I promote Max Sold with all my senior client moves. The catalogue and picture taking process was thorough, efficient and well done. The creation of lots was well thought out and maximizes the value for bidders. The agents take great care to not be intrusive while in the home. The process for making corrections and revisions was appropriately interactive, effective and stream-lined. Waiting to see the advertising for the auction. 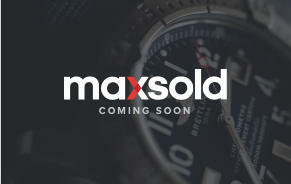 If the advertising and extraction of items from the home are as clockwork, then I would recommend MaxSold to those looking to downsize without reservation. They were a great help. Very professional .Fast workers. Hope we have a good sale.